(First of all: The next piece is written in a sort of dialogue style. We wrote it together. We being Carola and Liv. The regular font is Carola speaking and the italic text is Liv. Enjoy! At Dutch Comic Con: Liv & I were instantly looking for the starguests (as usual). 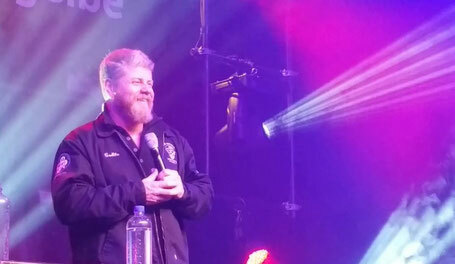 We came in and saw a row of actors, I spotted Michael Cudlitz next to Joseph Gatt. We went over there and took more pictures than a camera is prepared to handle. I am so glad my camera doesn't have a mind of its own, because I think it would have cried a little. We knew we definitely wanted a photo op, so we got in line for the ticket (quite a long line actually). The line was horrible. In my opinion they could have handled this better, but hey it was the first edition. We stood there for about 1,5 hour, looking around and talking to (a cosplay) Beth. We were thrilled when we got the photo op ticket. Thrilled and petrified at the same time. It was our first photo op ever and we didn't know what to expect. When we got in line for the photo op we were extremely nervous. We must have looked like two cows on their way to the slaughterhouse. The Q&A was great, I love Michael's humor, it was so funny to watch. I especially loved the part where he talked about his role in "Band of Brothers". 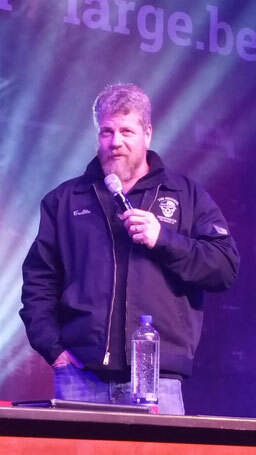 Ofcourse nowadays Michael is known for his role as Abraham Ford in "The Walking Dead", but before that I knew him from "Band of Brothers". For those wo don't know the show (shame on you! ): it tells the true story of the Easy Company of the US Army 101st Airborne Division and their mission in Europe during WWII. In my opinion it's one of the highlights of tv history and it's an absolute must watch! Michael talked about the time they spent with the true veterans of Easy Company and the impact it had on him. I guess we also need to share our blunders.. No! Not the blunder! In the evening we went to Utrecht to get something to eat. On our way back we ran into a few guys and we smiled and said hello. 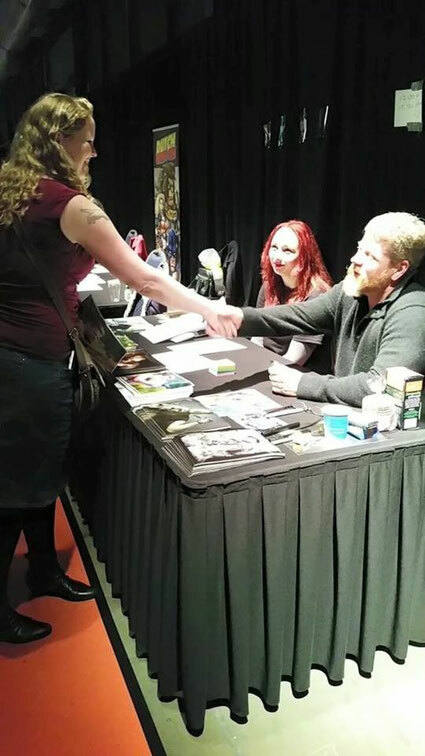 Then the reality kicked in.. Those two guys were Michael Cudlitz and Joseph Gatt.. OMG and we just stood there, staring at their backs.. Not doing anything! Mind the fact that all day we were talking about what we would do if we would run into one of them. Ofcourse there was a lot of big talk: we would have a conversation with them and maybe take a selfie. But we did nothing, so much for the big talk. 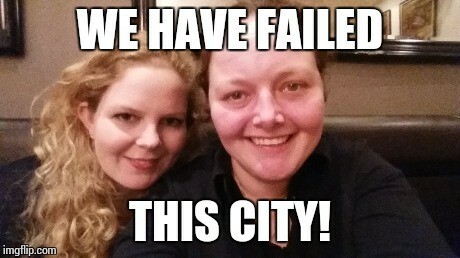 We are traumatised for life! On day 2 we also went to get an autograph. It was great so see him again. He even recognised me from the day before (hello heart attack). He was very nice and kind and I mumbled that I really loved "Southland". Only thinking: OMG, here I am again! 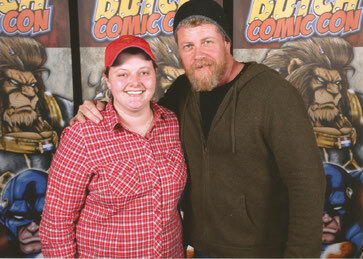 All joking aside...Michael Cudlitz is not only a great actor, he is also a really nice guy. Keep up the good work and I hope to meet you again sometime.